Get the latest news about IT Process Maps, and stay informed about important changes and updates to our ITIL Wiki. 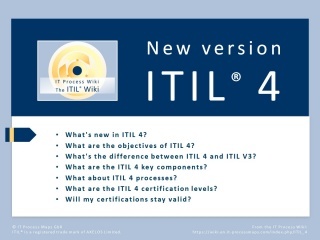 ITIL 4, the latest release of ITIL, is here! It is not a minor overhaul of the previous ITIL V3 but a completely revised body of knowledge. 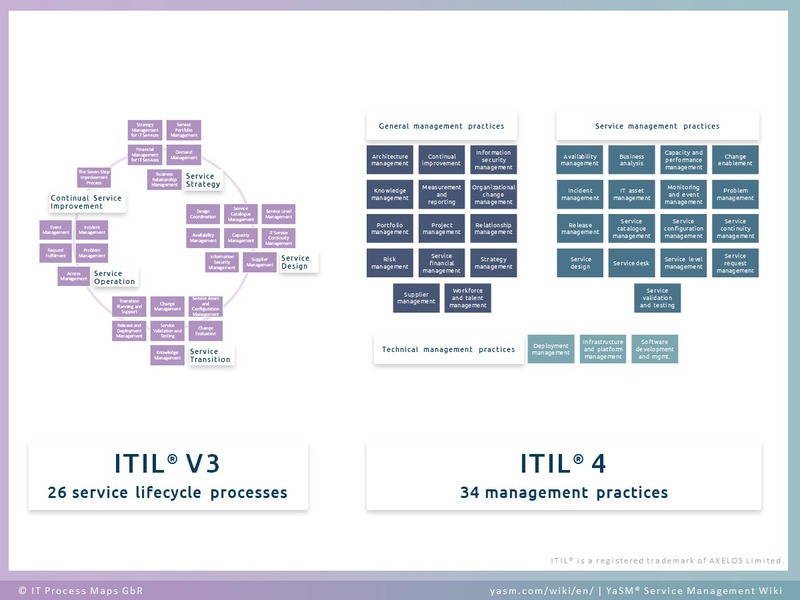 Will there be an updated ITIL® Process Map for ITIL 4? 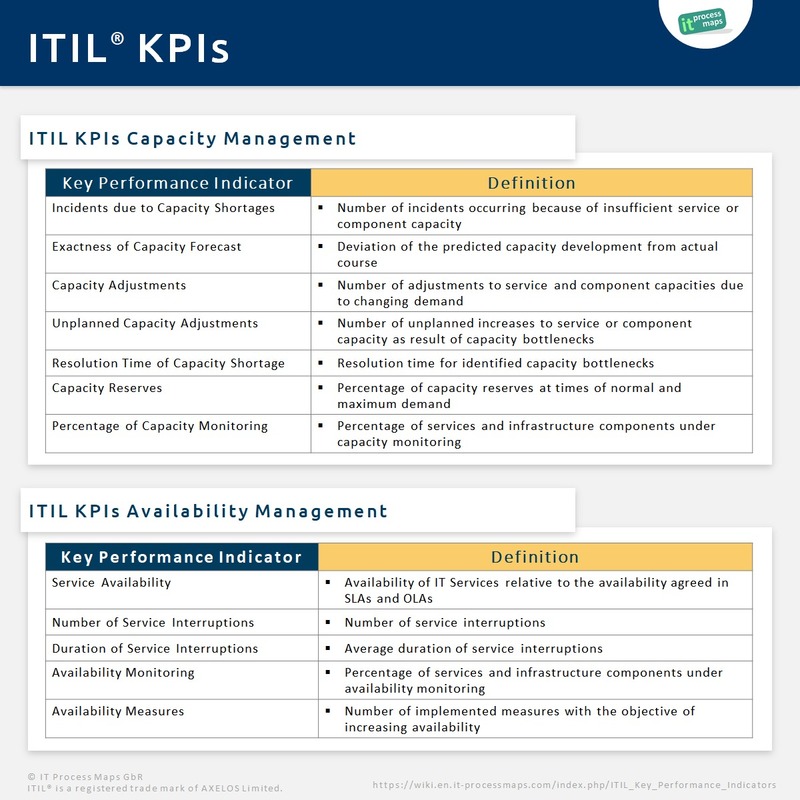 We have compiled the key facts about the new ITIL 4 edition in our ITIL Wiki. It is now ten years since IT Process Maps published the first version of the free ITIL® Wiki, and over the years the 'IT Process Wiki' has grown into one of the most popular destinations on the internet for those who want to learn about ITIL® and IT service management best practice. 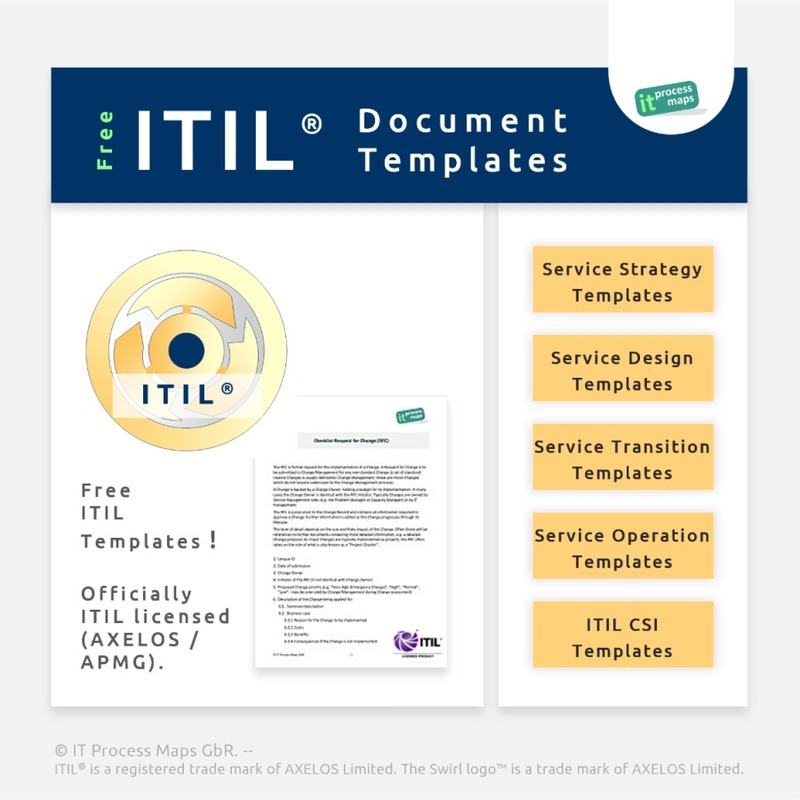 Free ITIL templates. - The 'ITIL 2011 templates' in our ITIL Wiki (a selection of templates from our ITIL Process Map) are officially reviewed by APM Group. 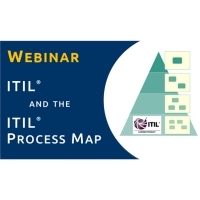 Best practice for IT service providers: The webinar on ITIL and the ITIL Process Map is also available in an on-demand version. 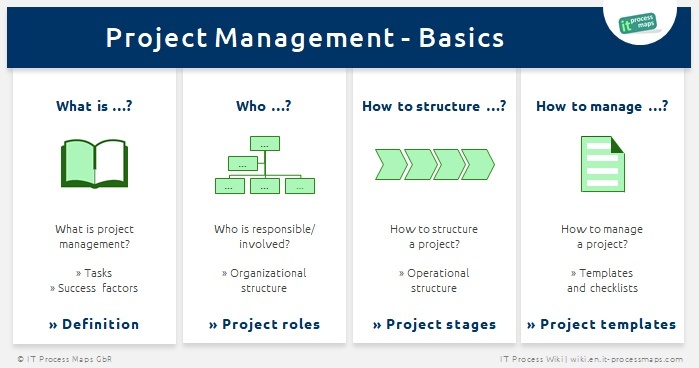 Free project management templates. - Essential also for your ITIL project: Basic knowledge, checklists and tips for project management. Microsoft has recently published the latest edition of Visio® 2016. The appearance of Visio 2016 provided an opportunity to update the repository add-in for Visio that comes with the ITIL® Process Map. The ITIL Process Map uses a RASCI matrix to provide a summary of the ITIL roles and their levels of responsibility in the various ITIL processes. 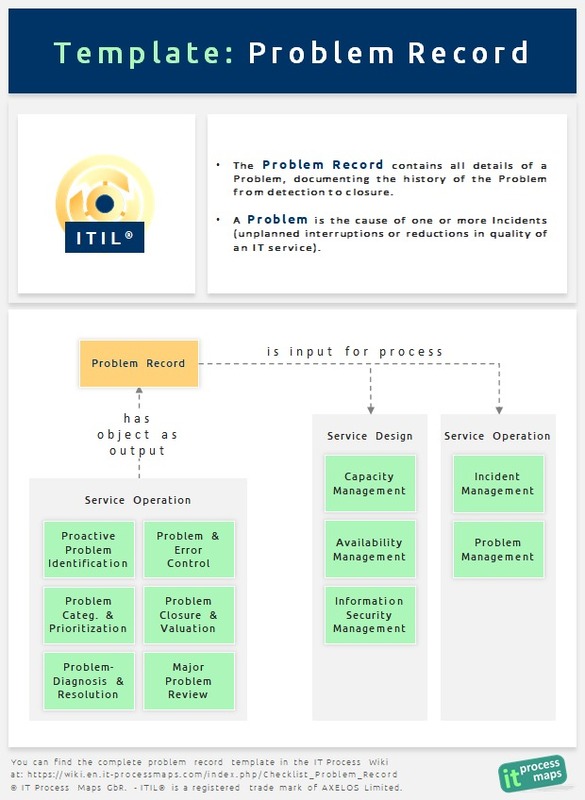 The problem record template explains the structure of the data typically contained in a problem record, which describes the complete life cycle of a problem from identification to resolution. 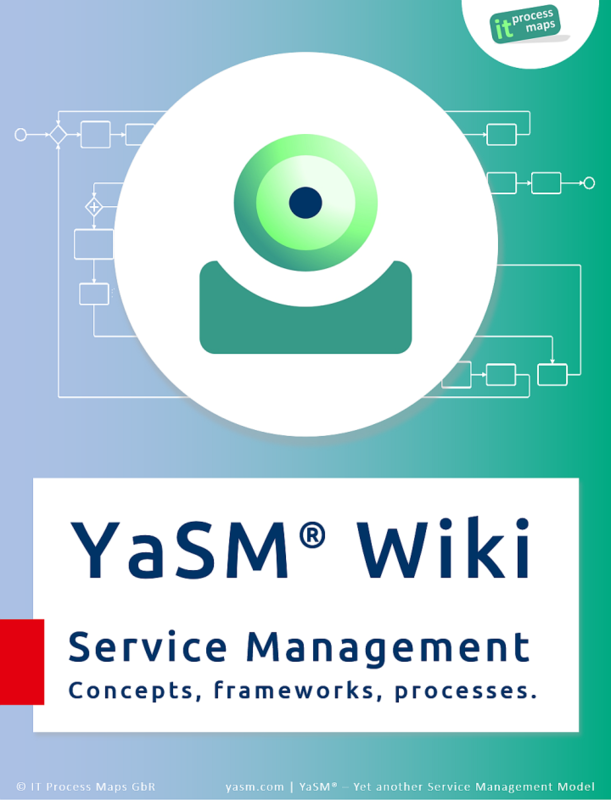 A brand-new wiki on the YaSM® framework: The YaSM Wiki is the ideal starting point for learning more about Enterprise Service Management, ITSM and service management in general. The new, streamlined YaSM service management framework provides guidance for organizations in the business of delivering services. Process owners use objective quality criteria or metrics to assess whether their processes are running according to expectations. New LinkedIn Showcase Page on ITIL and the 'ITIL® Process Map' - if you are on LinkedIn, please check it out - we hope you like it! 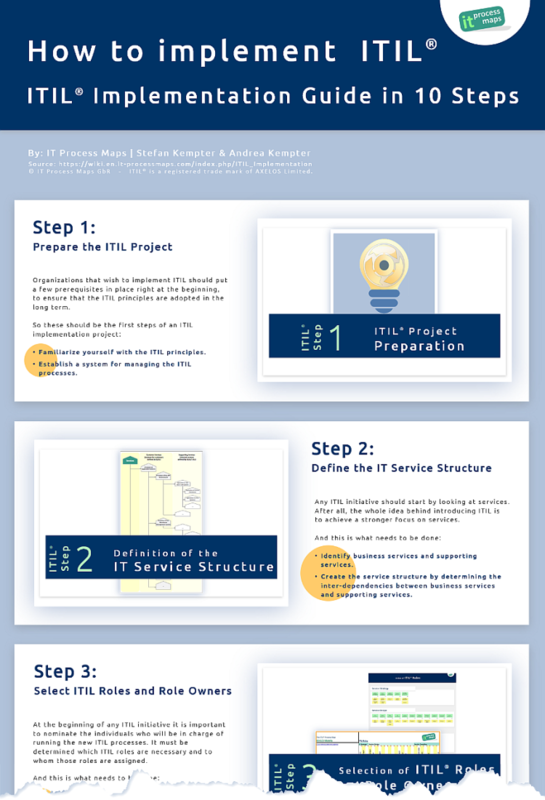 A Project Guide in 10 Steps: What needs to be considered when planning an ITIL project? Is there a tried and tested approach to implementing ITIL? We are happy to introduce an enhanced and restructured ITIL glossary as part of our ITIL Wiki with the most commonly searched ITIL and IT service management (ITSM) terms. ITIL and the ITIL Process Map on YouTube: Our YouTube channel now presents itself in the recently introduced new lay-out. As you may have noticed, Microsoft has recently published the latest edition of Visio 2013. The Visio add-in included in the ITIL Process Map (the "ITIL Repository Feature") had to be updated to be compatible with Visio 2013. If you are an existing customer, you may receive the latest version of the ITIL Visio add-in, including an updated user manual, free of charge. IT Process Maps is now present on yet another social media platform: Pinterest. The ITIL - ISO 20000 Bridge has been brought in line with the latest version of ISO 20000:2011. It is now available as an add-on to the ITIL Process Map. The 2011 edition of our ITIL process model for iGrafx® is now available in English and German. Following the publication of the 2011 edition of ITIL in July 2011, the ITIL Process Map has been adapted to the latest guidance. The ITIL process templates are now compatible with ITIL 2011 and ISO/IEC 20000:2011. A significant milestone has been reached in updating the ITIL Process Map to ITIL 2011 and ISO/IEC 20000:2011. Our ITIL process model has successfully passed a thorough review and is licensed under the AXELOS licensing scheme. The ITIL Process Map is thus the first independently assessed process model for ITIL 2011 on the market! What is new in ITIL 2011, the new ITIL edition published at the end of July 2011? In our ITIL Wiki we provide more insights on the main changes and differences between ITIL 2007 and ITIL 2011. The ITIL® Process Map has successfully passed a review by APMG, resulting in the awarding of the "ITIL® Licensed Product" logo. IT Process Maps teamed up with Ernst Fichtner, Austria, to create the ITIL V3 Process solution for the web based PRIMERO environment. New: The ITIL V3 Process Model for the Holocentric™ Modeler and Modelpedia environment is ready! New: A User-friendly RACI Matrix in the form of an Excel spreadsheet is now part of the ITIL Process Map. 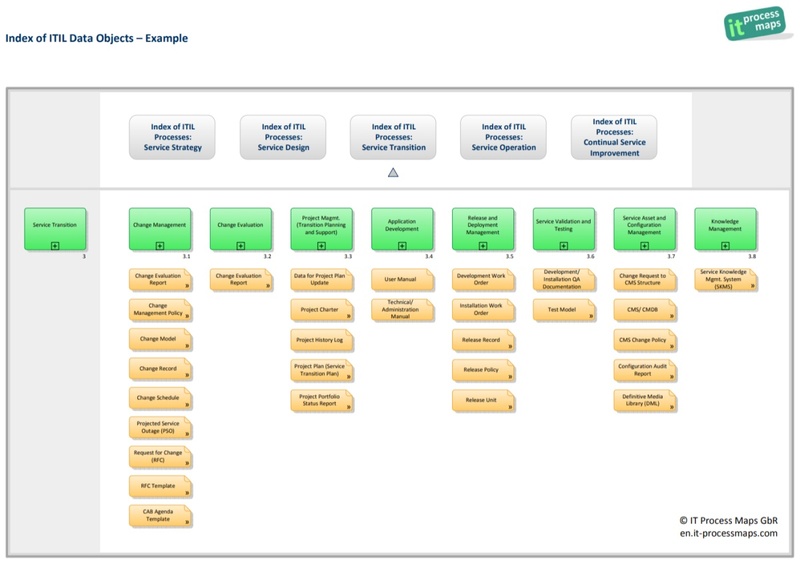 IT Process Maps teamed up with Lea-Cox and Associates, UK, to create the first ITIL V3 Reference Process Model for IBM® Rational® System Architect® available on the market.